Home » Blogs » brad's blog » Could states affect gerrymandering outside their state with conspiracy rules? Could states affect gerrymandering outside their state with conspiracy rules? The people in power don't want to undo the gerrymandering that is putting them in power. The courts want to stop gerrymandering but they only overturn rules, they try not to write new ones. Arguments were heard this week in a lawsuit attempting to get the supreme court to stop gerrymandering. Courts have been ready to declare that a district is gerrymandered, but are reluctant to force states to adopt some rule on how they draw their districts. The concern is that there is no one best and most fair way to draw districts. You can tell when a district is unfair, but it's up to states to write the rules and the courts to rule on their constitutionality. The plaintiffs have a hope that the courts might rule that any districting is a disenfranchisement, and force states to allocate representatives based on a proportional system from a statewide popular vote. I have wondered if states can find, on their own, the power to fix this. Many states have already written anti-gerrymandering rules for their own districts, but can they make those have extra-territorial effect. One way is with an interstate compact. I outline a plan for this here. It has the problem that the counter-gerrymandering might be found illegal by the court. Remember the court is ready to say, "That's not a valid district shape" without saying a formula for what a valid district shape is. They just know it when they see it. Here's another idea -- possibly unconstitutional as well, but it may be improved with refinement. In this plan, one or more major states create a rule defining fair districting. As noted, states can easily make up such rules, it is courts that don't like to write the rules. The states can say that districts drawn in violation of their rule are an overt act of disenfranchisement. In other words, electoral cheating. Then they can say that conspiracy to disenfranchise voters is an offence under state law. And most importantly, that this is true even if the disenfranchisement takes places outside the state. Under this rule, both the GOP and the Democrats are, I contend, guilty of conspiracy to disenfranchise. The GOP is more guilty at present thanks to operation Redmap, but both participate. That's the first constitutional question -- can a state make a law governing political activity outside the state? Generally you don't want that. California is an anti-gerrymandering state. And certainly it affects California if electoral cheating is done in house seats outside California. And California can't have direct power over how legislators in Maryland want to draw their districts. However, the Democratic party which drew Maryland's ridiculous districts exists in California and Maryland. Could California Democrats be punished for their collusion with the Maryland Democrats? Generally not, because of the right of freedom of association. But today the collusion is done quite openly. Parties have even sued for the right to do so. What if it were the case that the federal party were found guilty of conspiring to disenfranchise? What if as a result it were decertified in California? The idea would be to pass such a rule before the redistricting done for 2020, to say, "if you conspire to gerrymander in that redistricting, your party is going to get punished in the non-gerrymandering states, so don't do it." It might not do that much, but at a minimum if would push the conspiracy underground. States that did it might need to have no coordination or collusion with the federal party. That might be a hard show, since the only reason that state parties gerrymander federal districts is to help the federal party. But are the California partymembers guilty because Maryland partymembers engaged in electoral cheating to benefit the federal party? That is a tougher sell. It might just mean that the gerrymandering statehouse members get turned officially into rogues in their own party, since the party would make a declaration against gerrymandering in order to avoid the conspiracy claim. 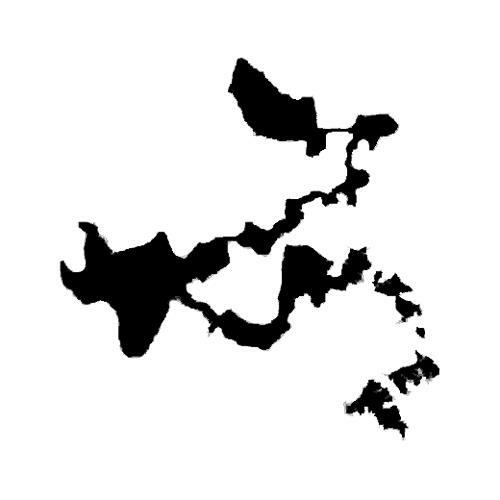 I think gerrymandering is electoral cheating that's just not against the rules yet. Consider expressing this in terms of more well understood electoral cheating, such as ballot box stuffing. Say that the GOP in Texas had an overt policy and plan of ballot box stuffing. Say it was done for the benefit of the federal party, which encouraged it. Should it be within the power of California to refuse to that federal party, in California, privileges like having party affiliation on ballots or use of the primary system? Would freedom of association protect that? It's hard to say, but i welcome suggestions. Yes, gerrymandering is bad, but getting rid of it while still having a non-PR system is like giving a sedative to someone with plague as opposed to an antibiotic.